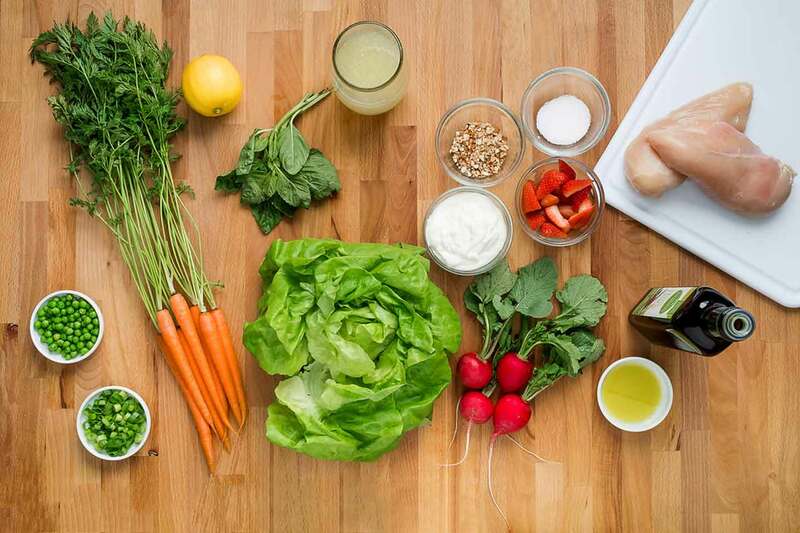 Whether you’re a “spring chicken” in the kitchen or a seasoned professional, Chef Stuart Tracy at Chick-fil-A’s test kitchen believes everyone can benefit from a new salad recipe. Packed with vibrant colors and flavors, this Spring Chicken Salad features chicken marinated in Chick-fil-A Lemonade and tossed in a homemade Greek yogurt dressing. The best part of this dish is that it’s meant to be shared! Serve this salad as a full meal for two or as side salads for four. In a large plastic bag, place chicken, Chick-fil-A Lemonade, salt and water. Seal and gently shake the bag until everything is well combined and the chicken is evenly coated. Marinate in refrigerator for 1 hour. 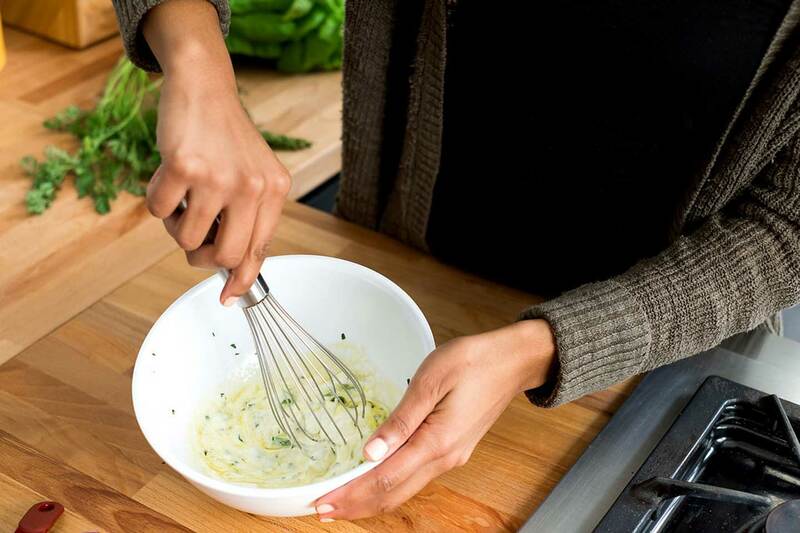 While the chicken is marinating, make the salad dressing by whisking together Greek yogurt, lemon juice, scallions, basil, extra virgin olive oil and salt. Store the dressing in refrigerator until ready to use. Place chicken and marinade into small pot with tight-fitting lid. Bring to a boil, put the lid on pot and reduce heat to a simmer until chicken is thoroughly cooked (roughly 15 minutes). If liquid evaporates, add cup of water. 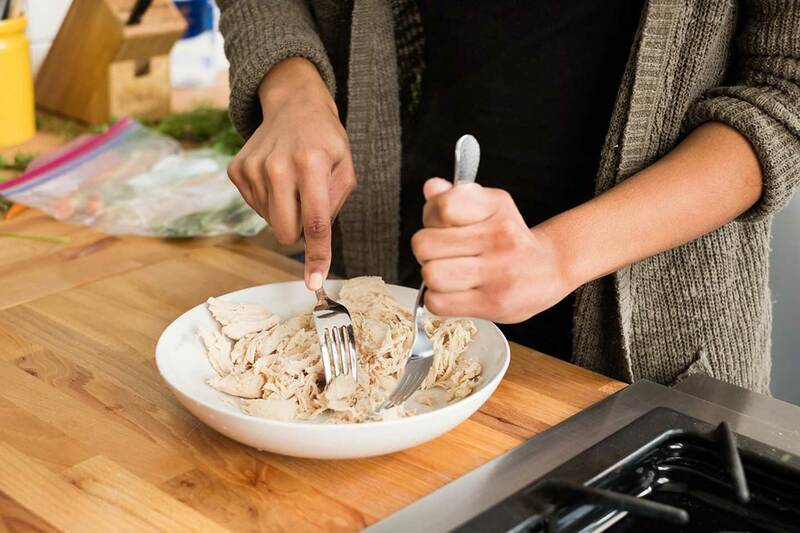 Allow chicken to cool and shred with fork into bite-size pieces. 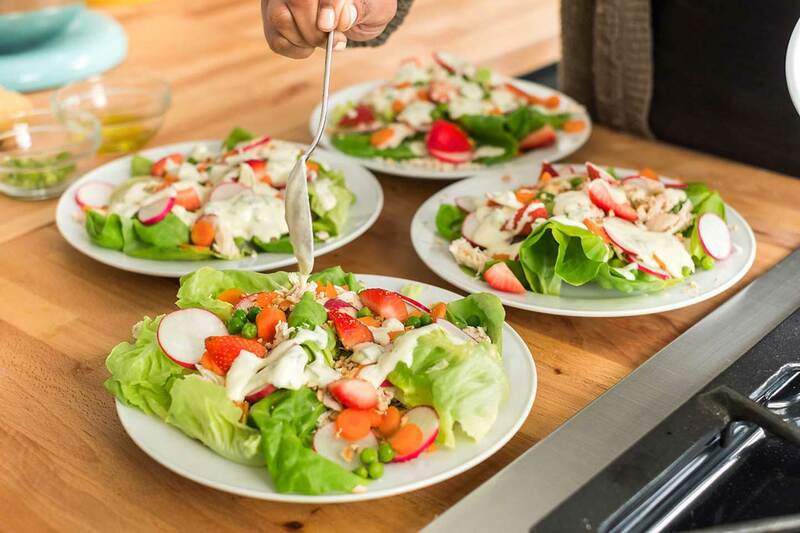 Place lettuce in bowls and top with shredded chicken, peas, sliced radishes, sliced carrots, strawberries, almonds and basil leaves. Pour dressing and enjoy!